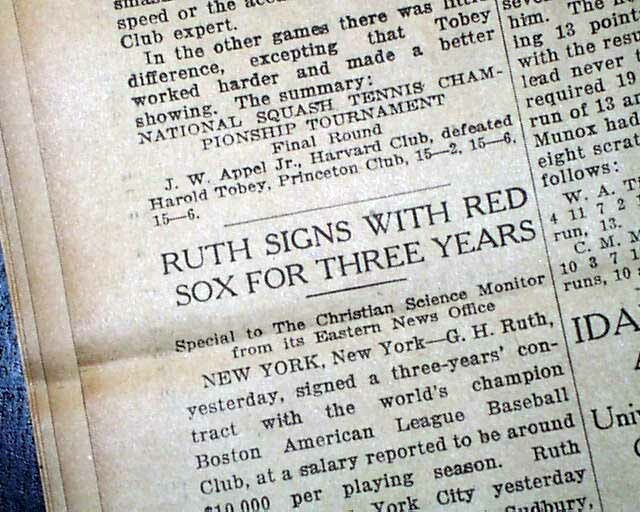 The sports page, page 11, has a one column head: "Ruth Signs With Red Sox For Three Years" with the report noting in part: "...signed a three-year's contract with the world's champion Boston American League Baseball Club at a salary reported to be around $10,000 per playing season. Ruth was a holdout until yesterday. 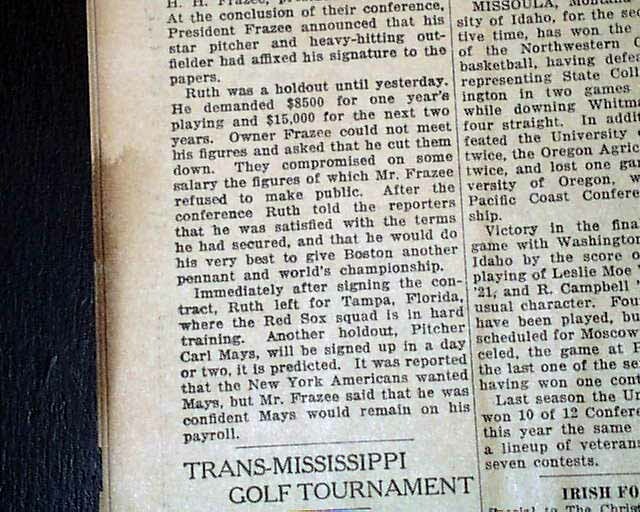 He demanded $8,500 for one year's playing and $15,000 for the next two years. 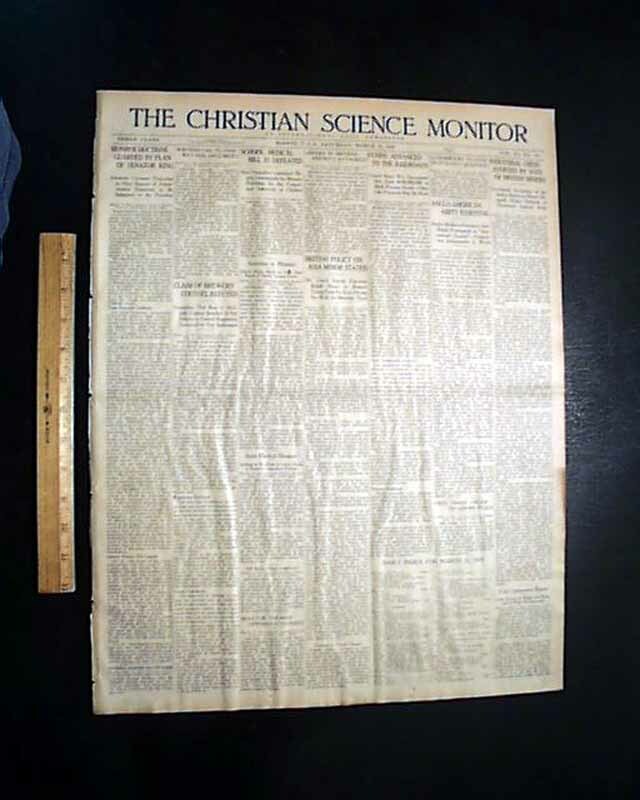 Owner Frazee could not meet his figures & asked that he cut them down..." with more. 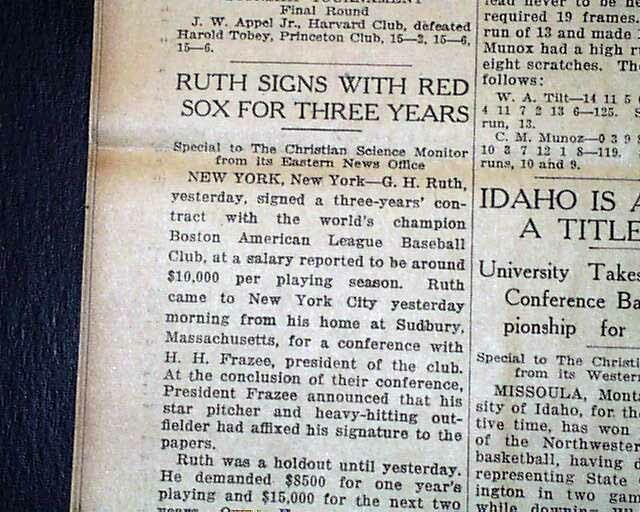 It is interesting to note that despite this 3 year contract Ruth would be traded to the New York Yankees the following year, one of the most controversial trades in baseball history. A great item on his final year with Boston and terrific to have in a Boston newspaper. 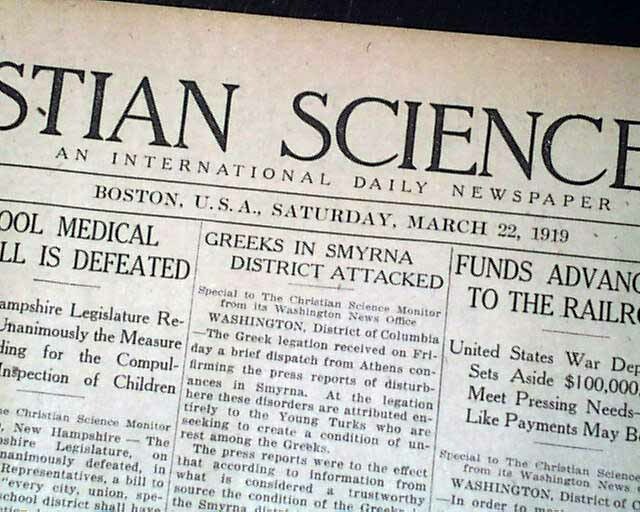 Complete in 16 pages, light browning, otherwise good condition.